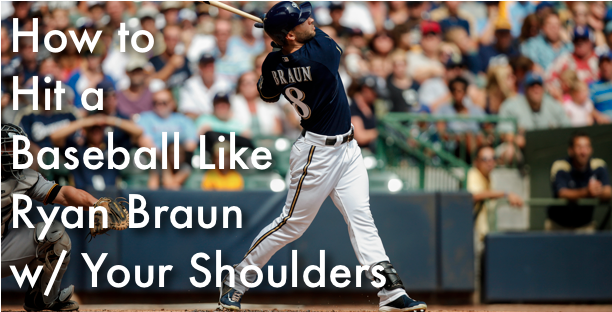 Ryan Braun has probably one of the most POWERFUL swings in the game today. The funny thing is if you compare his swing to other powerful swings like Buster Posey, Albert Pujoles, Prince Fielder, Miguel Cabrera, or Bryce Harper you’ll find that Ryan’s swing is a little bit different. A little more unorthodox. Hope you enjoy this “How to Hit a Baseball” video! What was your biggest take away from this video batting tips? If you haven’t learned by now, I respond to every single baseball comment like a mad man gone crazy! The truth is I love talking baseball and chatting with you guys is what makes AoB great! So leave a comment below and don’t forget to hit the LIKE button so you’re friends can see how cool you’re! Thanks guys! Hope this batting video tip helped!